Whether you find yourself in Shek O for a bit of lazy suntanning and swimming, or you’ve worked up a sweat on the Dragon’s Back and have earned a decent meal, then you’ll be pleased to know that Cococabana has re-opened right on the beach where Paradiso used to be (remember that place?!). Taking other Hong Kong beaches into consideration, Shek O Beach is a relatively more happening place and whilst they’re not fantastic, there’s a pretty decent selection of restaurants with a nice laid-back beach vibe. 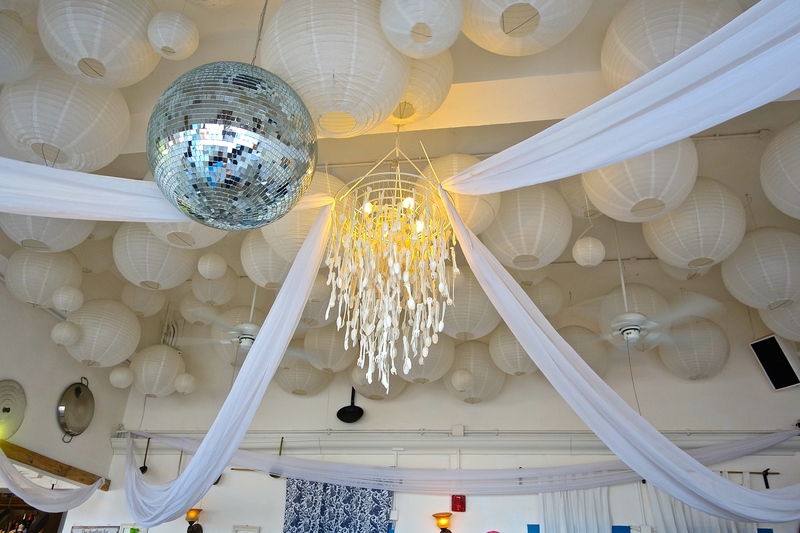 I’ve been to Cococabana a few times since its new opening, and enjoy the quirky and random items stuck on whitewashed walls, the plastic utensil chandelier, crisp table linens and the solitary disco ball – a nice nod to the previous occupant perhaps? Whilst the old Cococabana was more beach chic, the new one is paillote*-esk, a sophisticated beach bar of sorts. 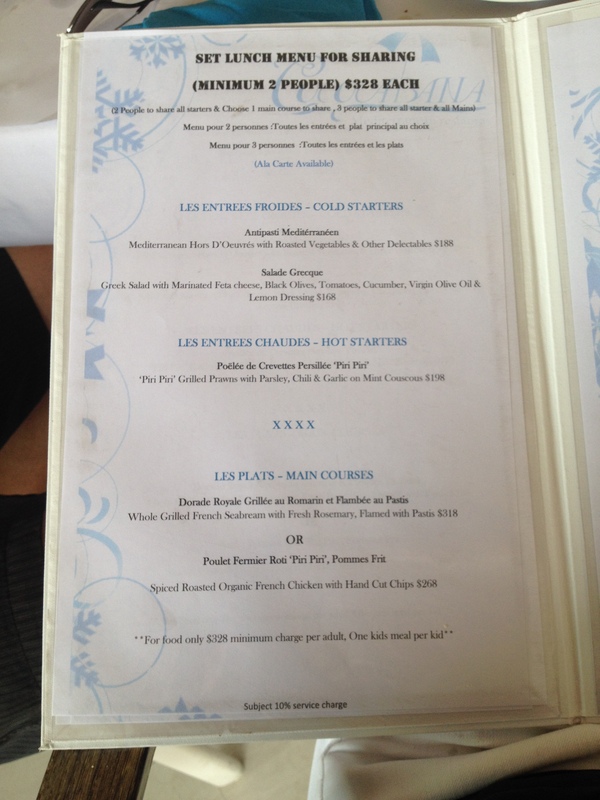 The menu reflects this with light meals, largely seafood and salad based with some chicken and steak thrown in for good measure. They also have a beach bar menu (hamburgers, crêpes and a pretty awesome merguez sausage sandwich), so if you’re in the mood for something more casual and easier on the wallet, make sure to ask for it. When ordering, you can either choose from the Set Lunch menu for sharing (minimum 2 people @ HK$328), or order from the à la carte menu. 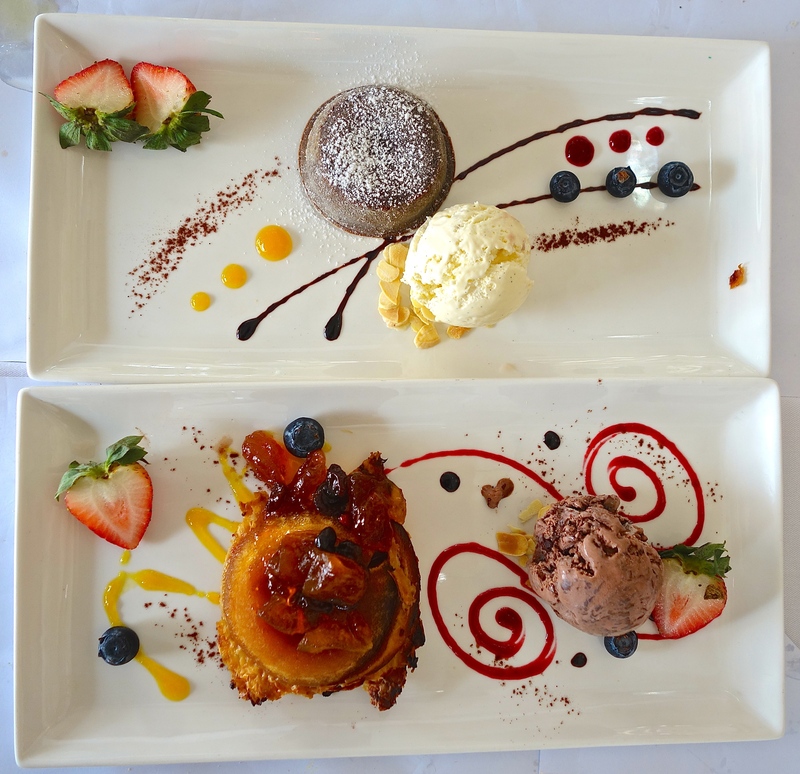 The Set Lunch menu for two is actually pretty generous so if you’re looking for a lighter meal, you can always order for two and share between three. 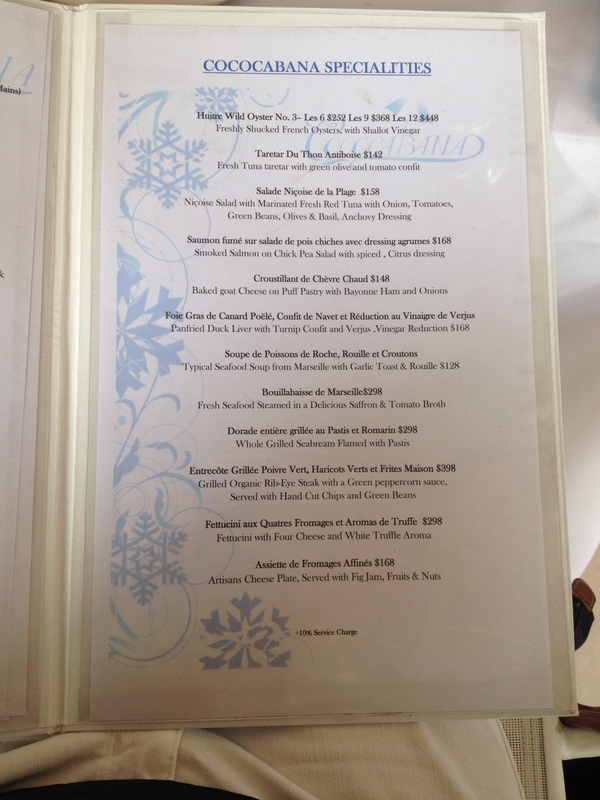 Any of the set lunch items can also be ordered on an à la carte basis. 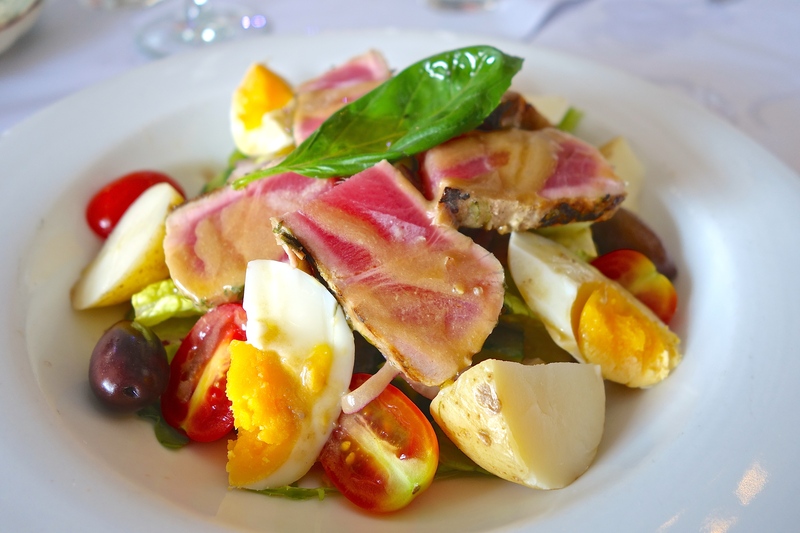 The Salade Niçoise is top choice at Cococabana, thick and perfectly grilled cuts of tuna with a nice selection of greens and a tangy dressing. 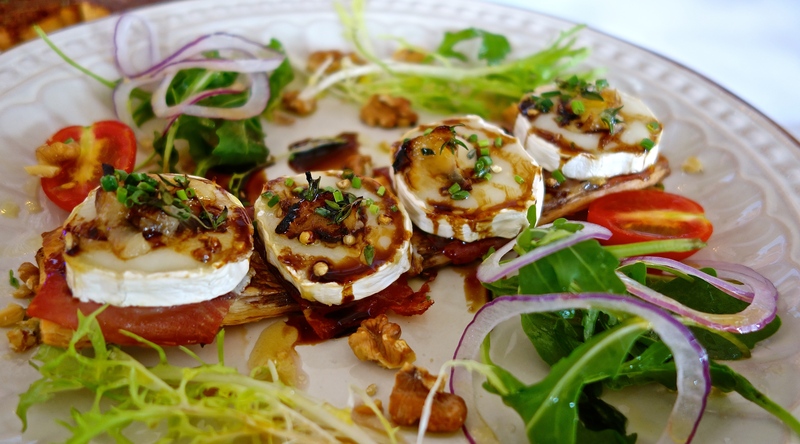 The baked goats cheese goes nicely with the Bayonne ham, but the limp puff pastry leaves you wanting and I feel it’s a bit overpriced for what you’re getting. 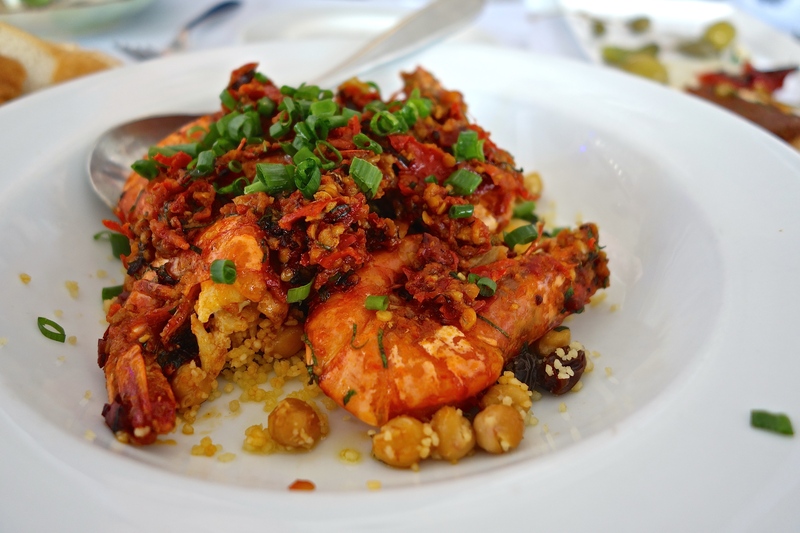 The piri piri prawns is a generous and tasty dish. The piri piri sauce packs some nice and flavourful heat – wash the sand off your hands and literally dig in! 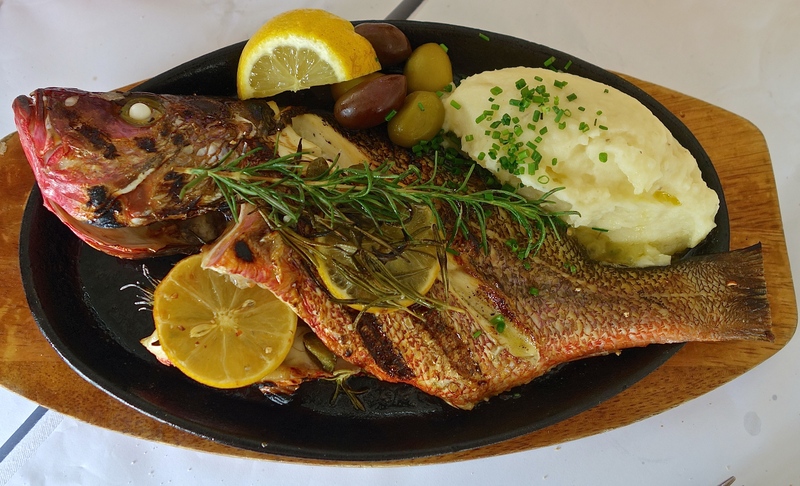 Nothing says beachside bar better than a whole grilled fish! Reminiscent of a lunch on the beach on Cala D’Orzu in Corsica, the fish was meaty and generous, infused with summer flavour. The potato puree on the side is super yum, I’d hate to know how much butter is in it! But what the hey, you’re eating fish – it’s all about balance, you only live once, and all that jazz. A word of caution, as our lunch was not all sunshine and rainbows. On both occasions that I visited, service got somewhat…confused. One friend ordered a merguez crêpe, and was served a cheese crêpe. 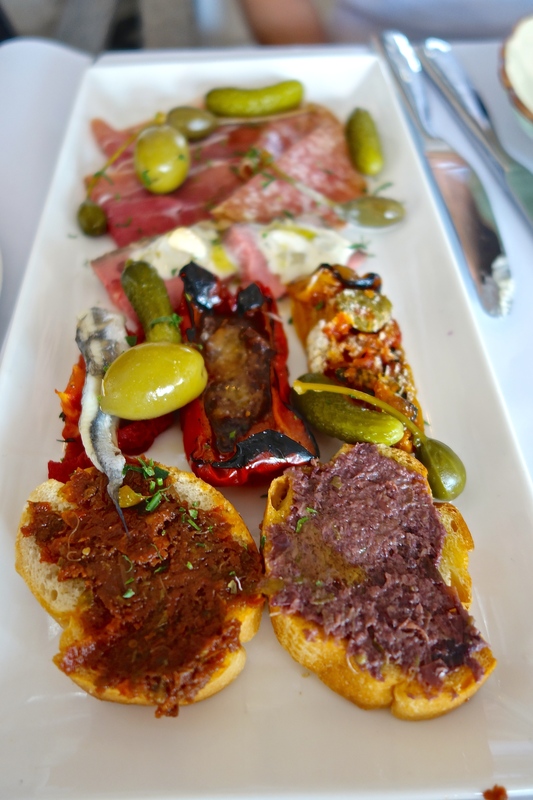 They apologised, took the cheese crepe and brought back a … merguez sandwich. The apologised again, let him keep the sandwich and finally brought the crêpe when we were all about finished. I believe my piri piri prawns had been given to another table by accident and had to wait for it whilst everyone else at the table ate. I must say however, that they were very apologetic, and offered us free soft serve ice cream (which is damn good at Cococabana!) when we left. With absolutely no room left in my stomach, I had to refuse. Check out the website for directions of how to get there by public transport. Paillote* : A paillote is a beach shack (which sometimes serves sophisticated food), which is constructed and can be deconstructed relatively easily. It is a rather fitting word to describe Hong Kong beach bars, given that the Hong Kong Leisure and Culture Services Department sometimes doesn’t quite understand the definition of “Leisure” and “Culture”.